Beyond the invaluable dosage of serum creatinine, Clinical Chemistry continues to greatly contribute to the majority of decision-making processes encountered in Nephrology. This is evident for the so-called “Chronic Kidney Disease-Mineral and Bone Disorder” for which, both diagnosis and prognosis largely benefit from numerous informative markers provided by the Biochemist. This is even more obvious with the continuous development of new biomarkers in the field of Acute Kidney Injury – the Quest for the kidney BNP – and of Transplantation as well – the Quest for dysfunction prediction –. 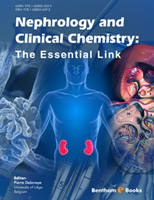 The different chapters assembled in this ebook under the direction of Dr Pierre DELANAYE cover the main biological aspects of “modern” Nephrology. Most of them are precious tools already available for the Clinicians. We have no doubt that the Nephrology community will welcome this ebook and will acknowledge the helpful hand, the biochemist keeps offering us. One specific aspect of Clinical Nephrology is the lack of overt clinical symptoms. Indeed, patients with severe chronic kidney disease may be quasi asymptomatic. In this view, results from clinical laboratory are of the highest importance. Clinical chemistry is a true science and art that require specific knowledge and teaching. The matter is that clinicians, next to the patient, and clinical biologists, in their lab, are far from each other. They have yet a lot of things to share and to learn from each other. The goal of this E-book is to make these two health professionals somewhat closer. Several topics in Nephrology will be discussed with a special focus on their “biological” aspects. In the first chapter, Etienne Cavalier will review some data from Clinical Chemistry that clinicians should know. The role of Clinical Chemistry is obviously fundamental in the diagnosis of chronic kidney disease. Five chapters of this E-book will be devoted to the diagnostic of renal failure. We will review in depth the old creatinine marker. New interesting markers will be discussed in the context of chronic kidney disease. Laurence Piéroni and Christine White will review strengths and limitations of cystatine C and beta trace protein, respectively. Sachin Soni will deeply discuss issues regarding the diagnosis of acute kidney disease and the role of new biomarkers in this context. Christine White and Emilio Poggio will compile current knowledge about the glomerular filtration estimation by the creatinine-based equations, while Eric Cohen will critically discuss the use those estimators in the context of chronic kidney disease prevalence. The second part of the E-book will concern the complications of renal diseases. Anemia is a frequent complication and Christophe Bovy will highlight the necessity of adequate monitoring of anemia and iron storage. Renal osteodystrophy (or chronic kidney disease-mineral disease) is also a classical complication in uremic patients. 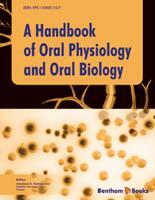 Given the difficulty to implement the histological gold standard (i.e. bone biopsy), biological markers play a fundamental role in following chronic kidney disease patients. Jean-Claude Souberbielle will deeply review the limitations of the parathormone measurement and Pablo Urena-Torres will elegantly discuss the new biomarkers proposed to better apprehend bone turn-over. All nephrologists know that chronic kidney disease patients have the highest risk for cardiovascular disease. This risk might be linked to the active process of vascular calcification. In this topic, several new markers (pro and anti-calcification) can be measured in the blood and are thought to be of interest to predict vascular calcification (and maybe the “vascular” morbidity). Anne- Sophie Bargnoux and Jean-Paul Cristol will present all the biomarkers involved in the vascular calcifications process. Dominique Prié will more particularly focus on our current knowledge on FGF-23 and its specific role in phosphorus homeostasis. The last chapter will be dedicated to renal transplantation. Nicolas Degauque and Sophie Brouard will review the emerging biomarkers for acute and chronic rejection. 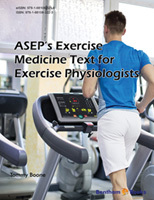 I want to deeply thank all the authors who have contributed to this e-Book. They have all worked hard to make this publication a success. I want to acknowledge my wife, Rosalie, for her help and unfailing support in editing this e-Book. Eventually, I would like to thank Dr. Rossini Botev and Prof. Christophe Mariat for writing the foreword and Bentham Science Publishers for their support.